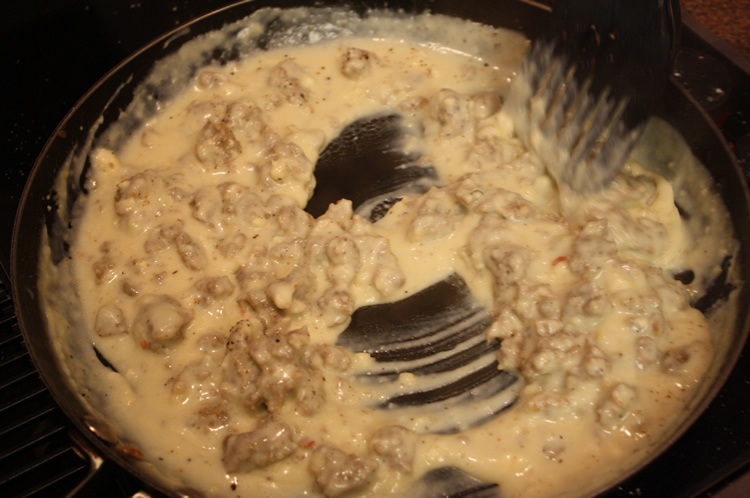 Learn how to make biscuits and gravy from our homemade biscuits and gravy recipe and make the best gravy every time! 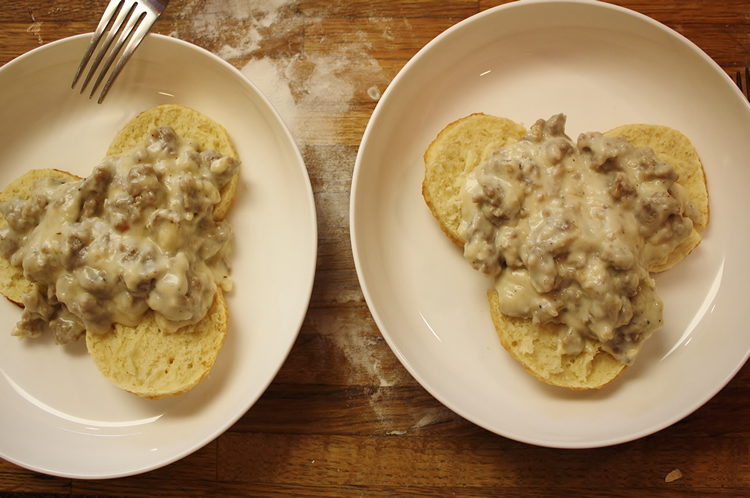 Make sausage gravy and homemade biscuits that will please the whole family! Also, try our homemade biscuits from scratch recipe. 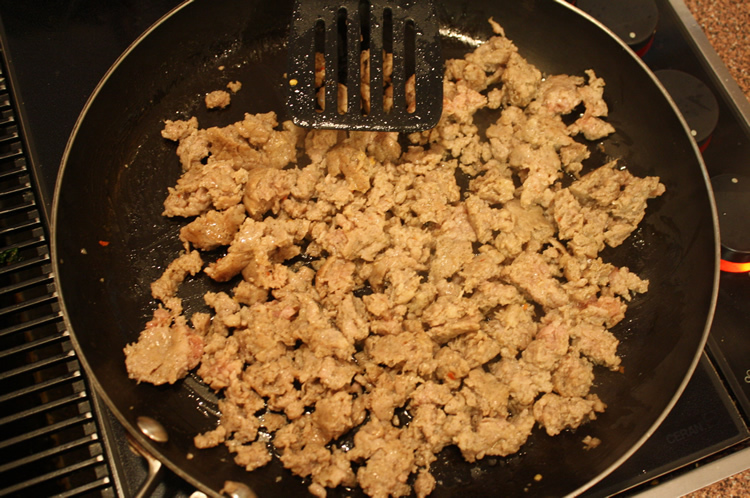 Cook one pound of ground sausage at medium/high heat until brown. Remove the meat while keeping excess fat in pan. Lower heat to medium and add two tablespoons of butter. Add a tablespoon of flour and whisk together. This is called a "rue" and is the start of the gravy. 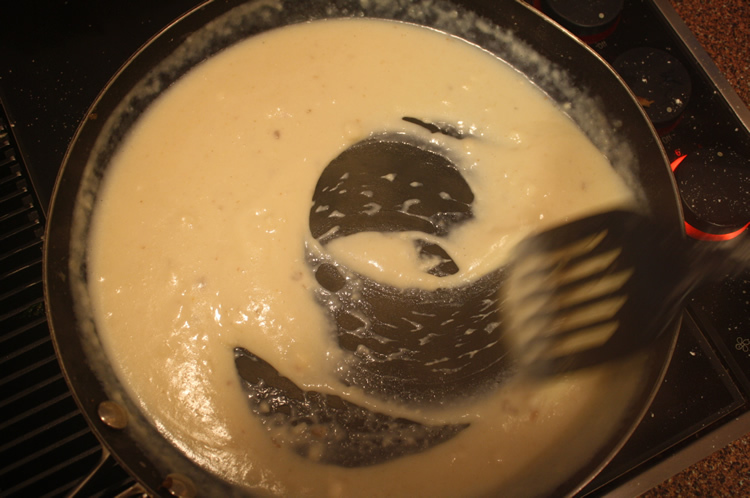 Slowly add milk and flour while whisking together. The ratio of milk to flour will vary by personal preference. More milk makes more sauce. More flour makes more fluffiness. You will want to use at least 2 cups of milk with 2-3 tablespoons of flour. No more than 3 cups of milk and 5 tablespoons of flour. Once gravy reaches desired consistency, turn off heat and add in sausage. Add spices to taste (salt, pepper, garlic powder, onion powder, rosemary). Serve on top of freshly baked biscuits.